RCS principal Professor Jeffrey Sharkey said: "She was one of the fastest-selling artists to debut in the United Kingdom and the United States - that alone is a tremendous achievement. "But she did so with a number of disadvantages - she has some learning difficulties, she comes from a challenged background - and she still managed to come through that. "What I have been able to see first-hand, when she interacts with people, when she sings for them, is this depth of communication. "She speaks to people and hits them in their heart, and that's something I want every one of our graduates to be able to do." I think this one means a lot to Susan, so happy for her. A very happy day for Susan, her family and friends -- and all of her fans! A wonderful tribute to Susan. Great tribute to Susan. Am very happy for her. It seems to have been a warm, fuzzy ceremony. She looked as though she felt she was around friends. Before presenting Susan with her degree, Professor Jeffrey Sharkey, principal of the RCS, said: “While Susan may have come into the public consciousness through the most transient of routes, there are few artists across the entire history of popular music itself who can match her popularity, her recording achievements or the breadth and depth of her audiences. 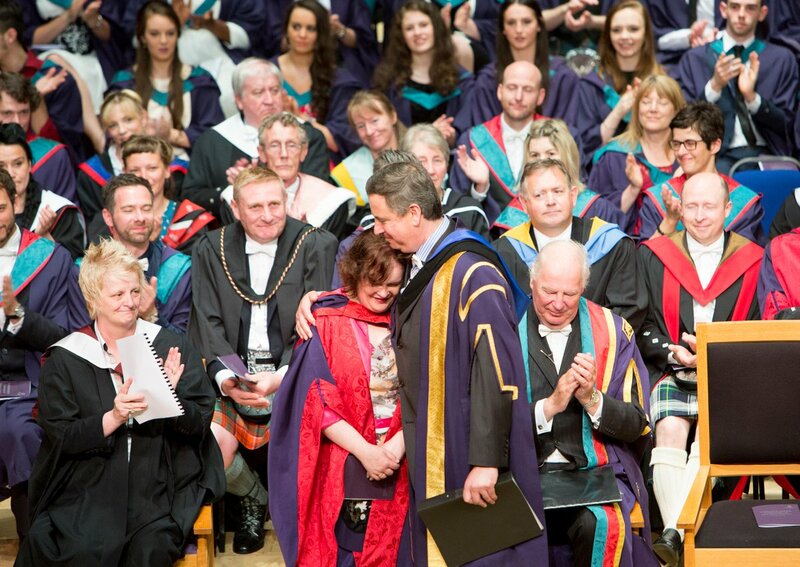 “I’ve had the pleasure of seeing Susan in person, watching her engage with people in Glasgow.